Don’t you just love a show? Me Too! So I decided to join in the fun of the Bloggers Quilt Festival in the Applique Category with a quilt that just makes me smile…. So this one started many many years ago with a giant sized gift of fabric from a friend. See, she wanted to make this quilt and a little group of us followed along, in our way. So Lorre was kind enough to pass on some of her stash to get us all started, which makes the quilt so much more interested, I think, because it has sooo many different fabrics in it. this pattern is from the incredible Kim McLean and the machine quilting was done by the amazing Jeanne Bancroft. 10 Responses to Don’t you just love a show? So pretty Megan, I love it!! 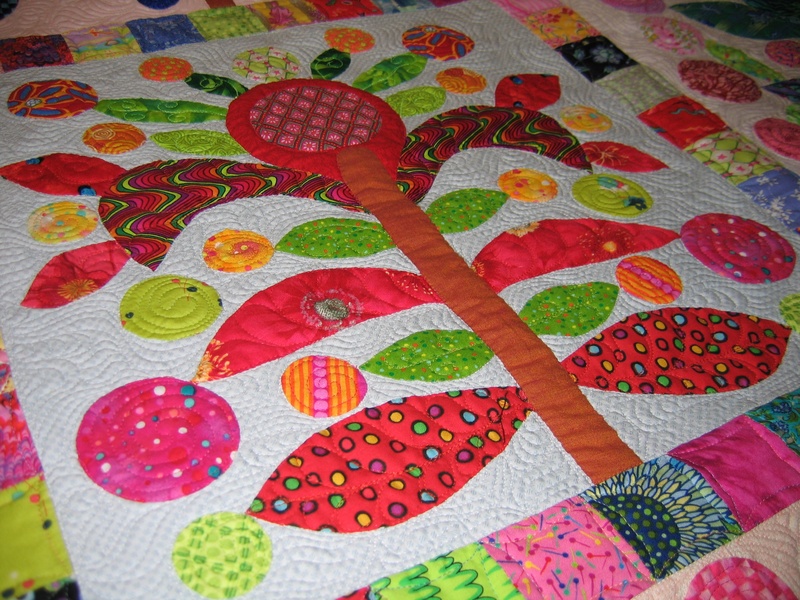 It is such a sweet quilt and quite a work of art! How wonderful to have a piece that makes you feel “accomplished”! You did a beautiful job. And I admire you for getting through that much appliqué! I have no gift for it. Beautiful. I love the color choices. A modern twist to the traditional design. 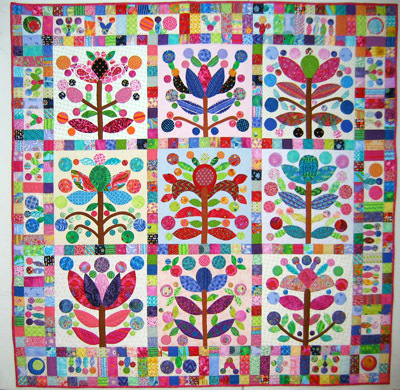 Love this quilt… the colours are so lively and the quilt makes me smile inside and out! I have nominated it for Viewer’s Choice Award in the Blogger’s Quilt Festival!! This is just popping with happy!!!!!! 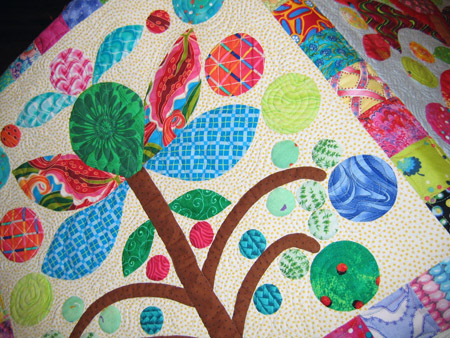 What fun to see this quilt and read your blog. Earlier today we, a friend and myself have bought this pattern. We are going to try and make the quilt out of our stash.